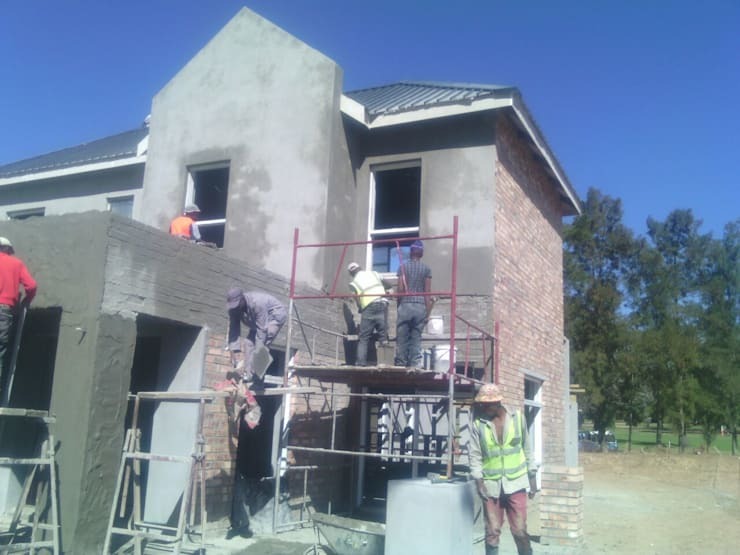 Luxury homes is one of the things that Cape Town restoration and renovation firm Renov8 Construction does best. 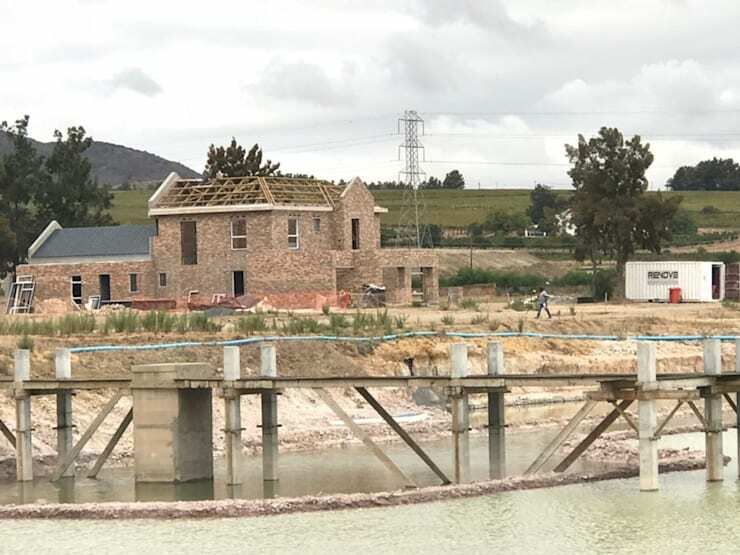 And this is proven once again by one of their latest projects: free-standing, high-end residential dwellings being built in the beautiful Stellenbosch Devonvale Security Golf Estate. 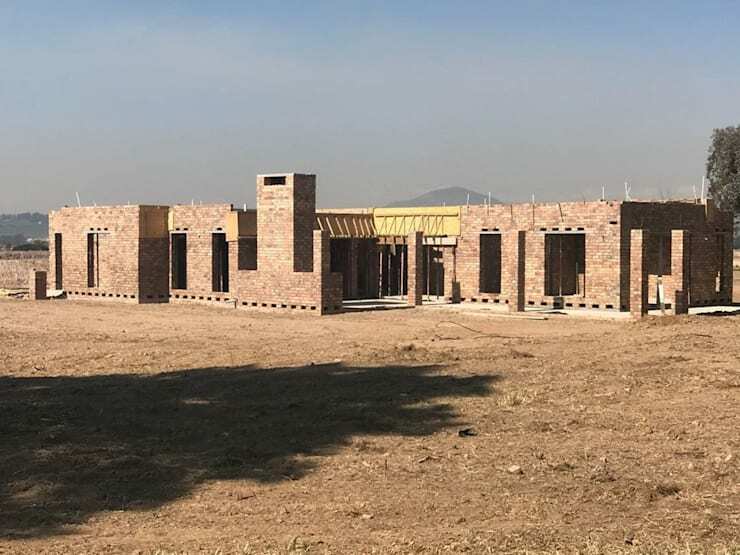 Phase 2 of this project is currently in development, comprising 45 free-standing homes with a budget of approximately R7 – R10 million each. 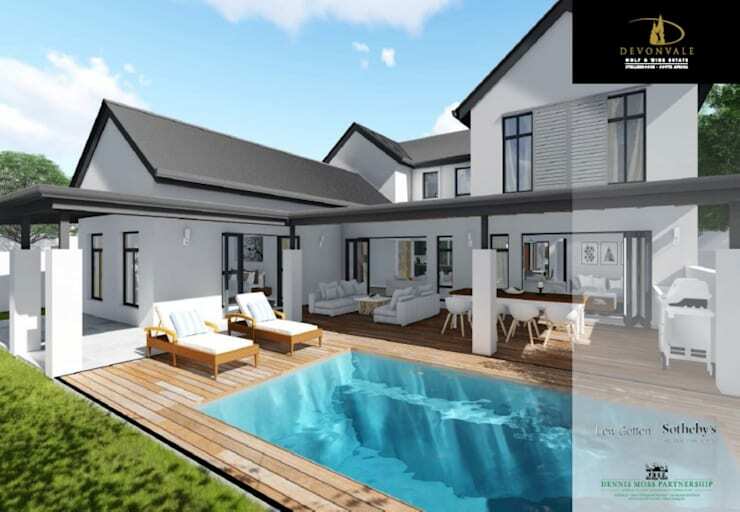 These high-end homes range from 560m² – 1000m² erf sizes, providing potential clients with 14 home styles to choose from. The sizes of the homes are between 455m² – 600m². 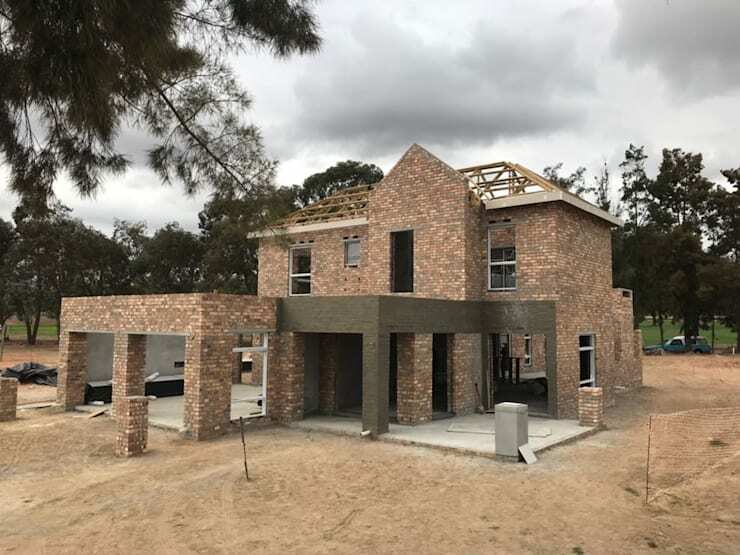 Working together with Dennis Moss Architects, these luxurious homes will be situated in a top-notch estate which offers a world-class golf course as well as a working wine farm with a restaurant, upmarket accommodation, plus facilities for conferences and events. 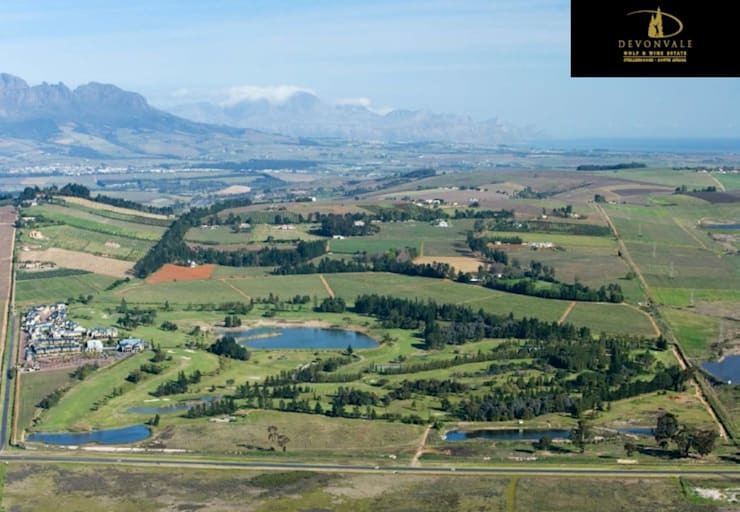 Just imagine having this as your back yard, complete with golf-course views and those fabulous Stellenbosch landscapes. This spacious wooden deck provides the ideal socialising space with friends and family, especially come summer time! Not to be outdone by the exterior layout, this open-plan dream design features a living room, dining room, kitchen, and more informal lounge seamlessly connected with one another. 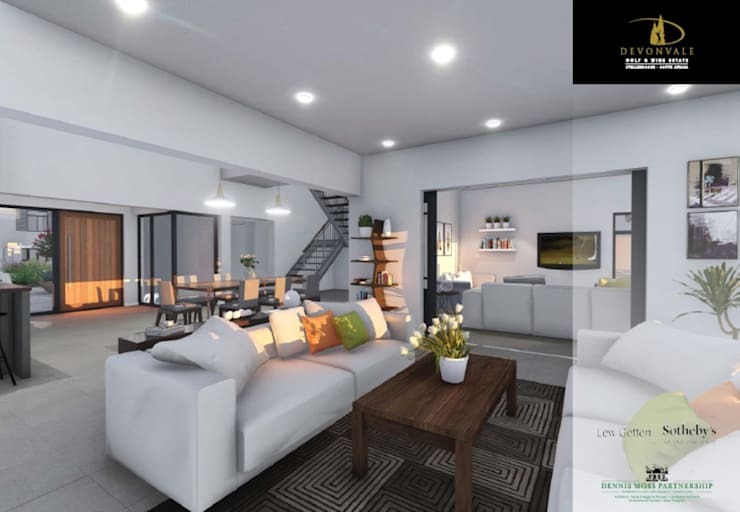 And even though these 3D renderings don’t necessarily represent what the final décor and furnishings will look like, we approve this soft, white colour palette with its scattered bright tints fully! Standing in the kitchen (behind a fantastic wooden-top island, no less), we can get a clear idea of the amazing views these homes will enjoy. 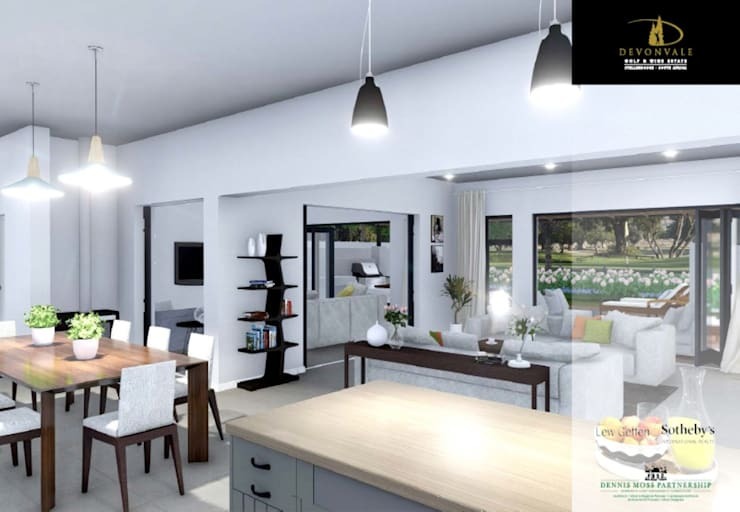 Speaking of inspiring designs, have a look at these Posh kitchen design ideas in Sandton. Share your thoughts on these designs in our comments section, below!